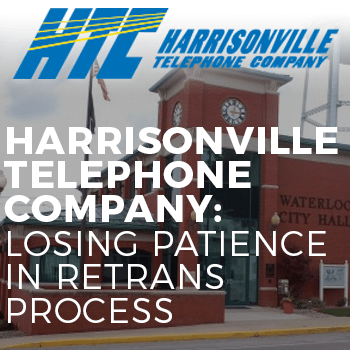 Small and mid-sized cable operators and their customers have endured abusive behaviors at the hands of corporate broadcasters for 25 years – that’s far too long. The cable industry is fighting back. 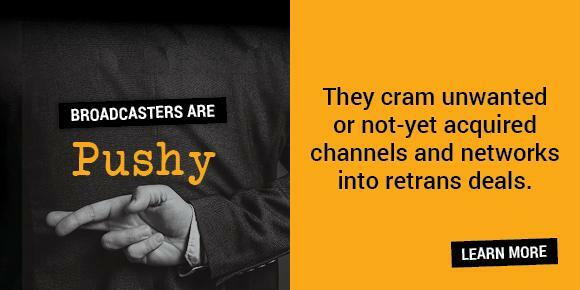 ACA’s TV Ransom campaign aims to take broadcasters to task and set the record straight about who is really to blame for outrageous retransmission consent rates and TV station blackouts. 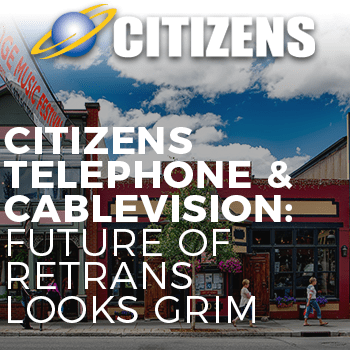 Corporate broadcasting conglomerates are exploiting outdated federal policy to hold local cable companies and their customers’ programming hostage during retransmission consent matters. Broadcasters are guilty of demanding outrageously escalating fees to line their pockets. They deploy the increasingly frequent and often reckless tactic of blacking out programming to gain leverage. Consumers are losing out, and they don’t understand who is really to blame. Broadcasters unjustly point the finger at cable operators, when, in fact, it is the cable operators who are trying to cut the best deals possible to keep costs down for everyone. 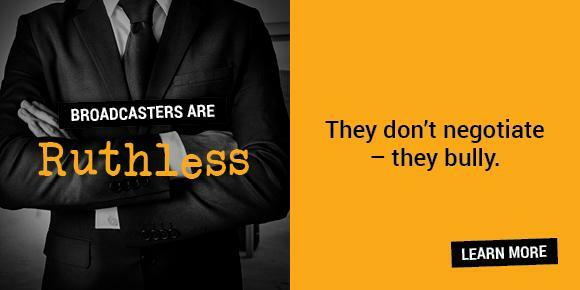 As the following explains, corporate broadcasters’ behaviors in retransmission consent negotiations demonstrate that they are reckless, greedy, pushy, ruthless and spiteful. Why don’t customers switch cable providers to avoid blackouts? All cable providers, regardless of their size, and satellite TV providers must negotiate retransmission consent fees with corporate broadcasters. Any of these negotiations could lead to TV stations going dark. Industry research says that 80 percent of TV markets in the United States have experienced at least one local broadcast blackout. DISH Network and DirecTV subscribers have also experienced blackouts. 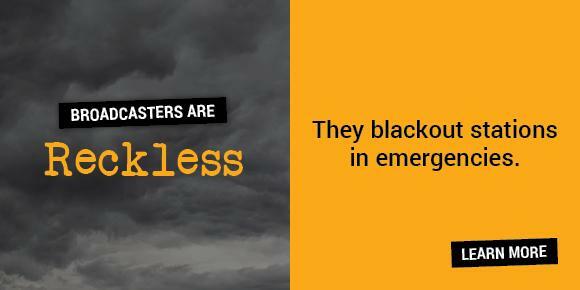 Therefore, switching providers will not protect consumers from the threat of a blackout. Who is to blame for TV blackouts? Local cable companies negotiate in good faith with corporate broadcasters to ensure continued availability of affordable programming. The goal is to sign deals to carry the TV stations customers want at a reasonable price. During retrans matters, cable companies offer to keep the broadcasters’ stations on the air, but sometimes broadcasters will remove these stations to negotiate deals in their favor. Corporate broadcasters will withhold programming during big television events such as the Super Bowl, Thanksgiving Day football, the NCAA Final Four, the Olympics and the Oscars to secure a deal that extracts the highest fees from local cable operators, and this is happening more often. Why are broadcast TV fees going up? Local cable operators strive to keep prices as low as possible. But they don’t control how much they are forced to pay to carry local TV stations. Unfortunately, large corporate broadcasters are charging increasingly higher fees every few years to make up for lost advertising revenue due to fewer consumers watching their programming. Cable companies try to absorb as much of the cost increases as possible, but a portion is included in cable bills because of the significant rise in the cost of these fees and other factors over the years. In fact, these TV station fees have grown thirty times over the last decade. A lot of consumers think programming from broadcasters is free. Is it? Yes and No. While broadcasters offer their signals for free over the air, cable operators can’t offer these signals to their cable customers without their permission. ACA member companies need to pay fees to the broadcasters to get that permission. Most customers don’t realize they are paying fees for what most consider “free TV” such as national network shows like The Big Bang Theory and NFL games. Are you seeking a legislative or regulatory solution to this issue? While ACA and our members would like to see a legislative or regulatory solution to stop these unsustainable rate hikes and escalating blackouts, our focus right now is on calling out broadcasters for their abusive behaviors and making sure consumers know who is to blame for these outrageous fees and program blackouts. Broadcast programming attracts viewers, so shouldn’t stations be compensated for their programming investment? ACA members recognize that shows distributed by big broadcasters are valuable to their customers. They know their customers want to get this programming at affordable prices. To satisfy these two goals, from time to time, small and mid-sized cable operators fight unreasonable price increases from corporate broadcasters, even for programming they know their customers want to continue receiving. And yet, it’s a fact that broadcast TV viewership for the four major networks has dropped by 52 percent since 2006 per Nielson. As a result, broadcasters are taking financial hits in the areas where they traditionally made the most money: advertising. Their ailing business models lead them to seek aggressive means to make up for diminishing profits without regard to the broadcast industry and consumers in the form of escalating retransmission consent fees. When you look at the average cable bill, how much is attributable to retransmission consent fees? Retransmission consent fees are the fastest growing part of consumers’ monthly cable bills. Smaller cable operators will be paying as much as three dollars per subscriber per month in 2018, if not more, and these fees will increase further over the next three years. Retrans fees are a tremendous source of income for TV station owners. These fees will cost U.S. consumers served by satellite and cable operators $11.6 billion by 2022, up from $8.6 billion in 2017, a 35% increase in just five years. Corporate broadcasters are using their size to squeeze money out of consumers so that they can make up for their ailing business models in the form of slumping ad sales. The cost to carry the top four broadcast stations exceeds the cost of any individual cable network, including ESPN, which is the most expensive one to carry. What’s more, the cost to carry these stations is equivalent to the combined cost to carry the 11 most widely distributed cable networks. They blackout stations in emergencies. 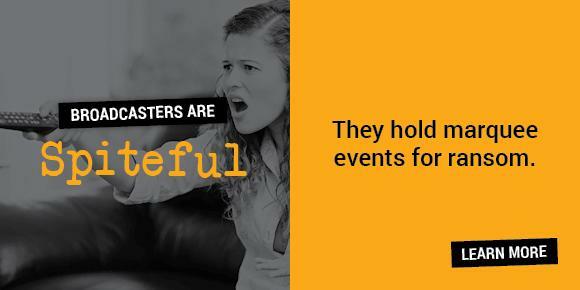 Despite positioning themselves to Congress as providing a needed and valuable public service to consumers across America, broadcasters pull programming when it best suits their hardball negotiation tactics, sometimes leaving viewers quite vulnerable – even during emergencies. + As Hurricanes Irma and Maria targeted the Gulf Coast and Caribbean, Hearst Television took down its signal in markets in the path of the storm – Orlando, New Orleans, and Puerto Rico – even as broadcasters touted their commitment to the public during extreme weather events during a recent congressional hearing. + In the wake of Hurricane Maria, it took a call from the FCC Chairman to Lilly Broadcasting to end a retrans blackout in Puerto Rico and the U.S. Virgin Islands for DISH Network customers. + In early 2017, Northwest Broadcasting exercised undue market power by denying Cable ONE customers access to all Big Four network broadcast station signals in rural Grenada and Cleveland, Mississippi, cutting off access to any locally televised news and weather forecasts. + In 2011 as Hurricane Irene approached the eastern seaboard, LIN Media withheld NBC and FOX signals in the Portsmith-Norfolk, Va., market, which was in the path of the hurricane. They make billions off of cable consumers. To make up for lost viewership, corporate broadcasters aggressively leverage retransmission consent negotiations to extract outrageous fees from cable companies and their customers. + According to S&P Global, retransmission consent has shifted nearly $40 billion from the pockets of cable operators and their customers to broadcasters over the past 11 years. 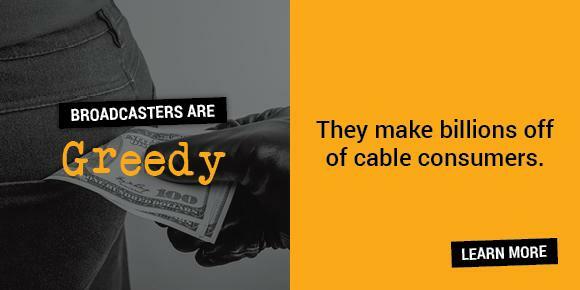 + “Retrans” fees are the fastest growing part of consumers’ monthly cable bills. These fees are 30 times more expensive today than they were 10 years ago, and it’s only getting worse. + “These are dollars that will fall right to the bottom line,” said CBS Corporation Chief Executive Leslie Moonves. They cram unwanted or not-yet acquired channels and networks into retrans deals. Broadcasters have been known to cram channels that cable companies and their customers don’t want into the retrans deals. They even demand that cable operators allocate money and lineup space for channels they may launch in the future. + A broadcaster once demanded that a cable company carry its programming across the cable company’s entire subscriber base, even though the broadcaster was available to only a limited portion of that base. + Sinclair attempted to force DISH to carry a network that the company didn’t own yet, but merely hoped to purchase. + Broadcasters demand fees for channels and networks they don't even offer but could possibly offer at some point. + Broadcasters force cable companies to carry additional feeds that they change on a whim without caring what customers think. They don’t negotiate – they bully. 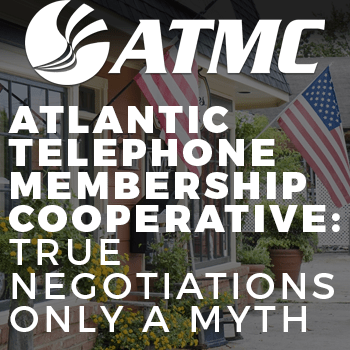 Increasingly, retrans negotiations are not actual negotiations – they’re one-sided transactions where corporate broadcasters bully cable companies into terms that are agreeable only to the broadcasters – often without considering cable companies’ positions or requests. + Seventy-six percent of members surveyed reported that corporate broadcasters took a ‘take it or leave it’ approach to retrans negotiations. + Corporate broadcasters have no desire to negotiate. They set forth their own terms, slowly or infrequently return phone calls or emails, discourage cable companies from utilizing legal counsel to evaluate deals, and push discussions off until close to looming deadlines to leave cable companies with limited time to examine critical details of the deal. + One corporate broadcaster demanded that a smaller cable company accept its terms or else the broadcaster would run ads to push the cable company’s customers to a larger competitor. They hold marquee events for ransom. When cable companies won’t accept broadcasters’ take-it-or-else demands, broadcasters’ favorite tactic is to blackout popular programming, especially big sporting and major TV events like the Super Bowl and the Oscars. + CBS Chief Les Moonves said that blacking out viewers during retransmission negotiations provides the “ultimate leverage” and “the sky’s the limit” in retrans fees. + CBS blacked out DISH Network on Thanksgiving 2017, denying college football and NFL games viewing experiences to customers in many major markets. + DIRECTV and U-Verse homes in Columbus, Ohio, and Indianapolis, Indiana, lost their Dispatch signal just prior to the start of the 2017 football season. NFL and college football fans missed the much-anticipated opening games of the season. + In early March 2017, Hearst pulled the plug on signals for 26 markets across the country, including some CBS stations, the network that airs the NCAA basketball tournament. This move left fans in basketball-crazy Louisville scrambling for other options to watch their favorite teams in the biggest event of the season. + On the eve of the 2016 Super Bowl, Nexstar Broadcasting blacked out Cox customers in nine markets, including sports-intensive Las Vegas. This spiteful tactic forced the cable company’s hand, having to deal with the fallout of not being able to provide the Big Game to its customers.